I have to admit that I've been avoiding weeding the backyard like the plague. I'm just not up to even looking out there and seeing what the heck is growing. I spent an hour digging up dandelions out of the front yard a few weeks ago and barely seemed to have made a dent. You know you're in trouble when your neighbor comes over and mows your lawn. I know that makes us sound horribly white trash, but they do it for other reasons which I won't go into here. And, frankly, they do an awesome job even though we beg to pay for it and they refuse. Anywho, yesterday I glanced out back while I was enjoying some organic chocolate samples (more on that in a later post) and, holy smokes people! I have a bumper crop of lambsquarters growing under my back deck again this year. Like enough to feed a family of, say four, for a week. I can't say I did any work to cultivate this masterpiece of garden edibility, but between that, the kale that is taking off and the spring dandelion greens (which I can't yet bring myself to snack upon), we should be good to go for greens for a while. Rinse greens several times to make sure that all sand and grit are removed. Steam greens in tightly covered pot until wilted. Drain greens and finely chop them. In large skillet, heat oil over medium heat. Add garlic/leeks and cook, stirring frequently, until leeks are soft, 2 to 3 minutes. Stir in greens, beans and chili powder. Cover and cook over low heat for 5 minutes or until heated through. Season with salt and pepper and serve. Makes 6 servings. Mmmm...fun with foraging. Our plants, and weeds, are just starting to come up so I hadn't thought about lambs quarters, yet. I like to toss them in fruit smoothies. Purslane, too. We never get enough that you could cook with them. We love lambsquarters. My Dad used to blanch and freeze it since he actually likes it better than spinach. The tiny leaves make it great for using in lasagna as well. YUM, that's making me hungry. So far I have been able to use the arrival of pollen as an excuse to not work in the yard. But yesterday was just to darn pretty not to. Cute, too. Good to see you having some fun. Man, those are HUGE lambsquarter leaves. Our get to, like, thumbprint size. We mostly just pick them and add them to green salads, but I do think they freeze better than most other greens so I freeze them for cooking greens too, when I get a quart-freezer-bag amount at one time. Hey You know I eat Dandelion fritters- so why weed? All those things are food! I'm not sure I've tried lambsquarters, but I've eaten some other stuff like: violets, dandelions, chickweed, stonecrop, and spiderwort (the flowers). It's been a few years - I'm not currently convinced I'd remember which things are good to eat without looking them up again. I must do that! If you harvest the dandelion leaves when they are young...hmmm. One year I had a bumper crop of dandelion 'weeds' for some reason. I just pulled and steamed. They are great. Another year I harvested the flowers and made dandelion wine...just like Ray Bradbury's novel of same name. Delicious. I sauteed some lambsquarters last year from my backyard (bumper crop every year) and found them very tasty. I liked them a lot better than dandelions. Thanks for the nutrition reference - I was curious! lambsquarters are just about my favorite wild edible plant. It is good anywhere you'd normally use spinach. The prodigal gardens website is wonderful. Thanks for sharing that. Dandelion fritters are so excellent... We had them with dinner the other night on Erraid (a Scottish island with about 8 permanent residents), and the gluten-free fritters won out for keeping the most dandelion taste, but really, they're all good. Another amazing meal was with a wild green pesto (with nettles, among other things)... sounds like that could be a worthy use of your lamb's quarters. I love the lambsquarters. I get so much - enough to eat fresh, and loads to freeze. They are a welome addition to my garden. 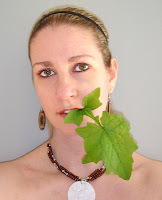 My blog also has a good recipe for lambsquarters. I used to eat lambsquarters back in the old country (though I knew it by the British name of "fat hen". It grew all over my allotment garden, but I'd never pull it as a weed, rather I would pick it and eat it whole and raw. The flowers and seeds are also tasty and nutritious, and given that it's related to quinoa, that's little surprise. All of you should look for this "weed" in your gardens and add 'em to your salads! I worked with a local farmer earlier this season, and persuaded him to take some to the Farmers' Market. Lo and behold, he did, for at least three weeks, sold it all!